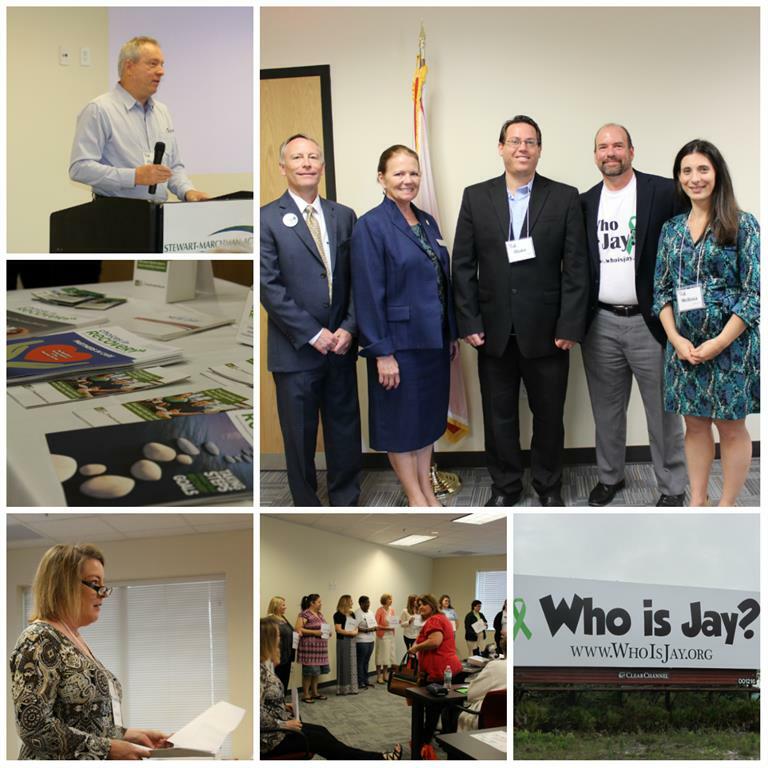 2016 Mental Health Symposium – Who is Jay? Our first Mental Health Symposium held on May 10, 2016 in St. Augustine was a great success. There were over 80 community members in attendance to hear the motivational speaker, Blake Levine, to learn more about Mental Health First Aid (MHFA), information on Quality Care Initiatives for Inpatient Psychiatric Hospitals, and to hear “I’m Jay” stories live. The keynote speaker, Blake Levine, is an author of numerous published books, a life coach, and the foundation of BipolarOnline.com. “Extremely helpful personally and professionally. WHO HELPED MAKE THE EVENT A SUCCESS! A SPECIAL THANK YOU TO ALL THE STAFF & VOLUNTEERS WHO ASSISTED WITH ORGANIZATION, SET UP, REGISTRATION & MORE!